Performing for over 7,500 people at a political rally. Jamming with Sasquatch at a corporate event. A little time off the ship in Sydney. On the ocean off St. Maarten. Typical setup for events of up to 200 people. Performing at a winery overlooking the Mississippi River. 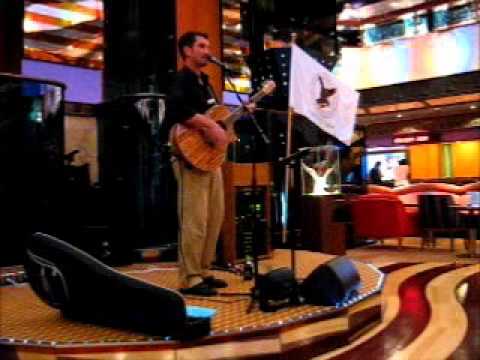 Performing in the grand atrium of a cruise ship. 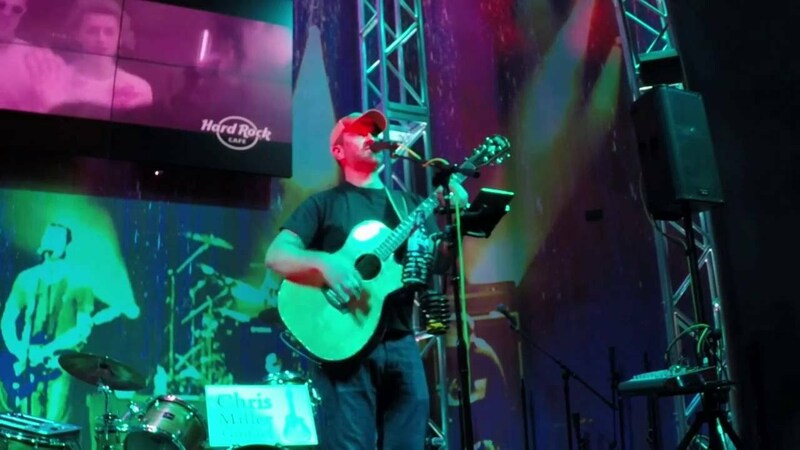 Chris has been a full time musician since 2005, including 3 years performing for Carnival Cruise Lines all over the world. Nationally he has been hired for events in over a dozen states. His list of over 40 original songs and 300 memorized cover songs can be tailored to fit any environment from subdued art gallery openings to upbeat wedding receptions. Recent clients: Subaru, Alaska Airlines, Hard Rock Cafe, Monster Jam, Jacks Links Jerky, MN Zoo, Carnival Cruise Lines, JW Marriott Resorts, Hilton Resorts, Iowa State Fair, St. Jude Medical, Hilton Resorts. We loved having Chris play at our dad's surprise 50th birthday party at home. Perfect level of music - allowed guests to comfortably converse the entire time and covered songs that were appropriate for all ages. Couldn't recommend him more! Chris was the life of our party last night. Super talented, sounded awesome and was super friendly to boot! Our guests thoroughly enjoyed his performance, as did we. In fact, many wanted his contact information afterward for future events. We would definitely hire him again! I hired Chris for a corporate dinner event and he was amazing! Very professional, showed up on time, interacted with the crowd, and even took requests. The range in music was perfect for my crowd that ranged in age from late 20's to early 60's, he played something for everyone. Chris worked with the little space we gave him and ran with it! All of the attendees were raving about his musicality. I would 100% hire him again. I can not say enough good things about Chris and how much his music and professionalism made the night. Too kind Tina. Thank you very much for taking the time to help me out. I look forward to working with you again. We loved Chris. Song selection was great. Very talented. Everyone loved him. He blew my girlfriend away! She won't stop talking about Chris! If anyone is looking for a fun surprise for someone special - send Chris! Chris performed for our son's rehearsal dinner. He was a beautiful singer and played all of the songs that my son requested and even those the crowd of 65 requested. He was a big hit!! We hired Chris to play our daughter's graduation party which was held in a upscale venue in the Metro Area. He allowed her to choose from a wide selection of music he is proficient at playing. Chris communicated well prior to the big night and was very accommodating to our requests. He was early to set up and was ready to entertain. He played for a extended amount of time during the event, he has a very nice sound system and he sounded Great! The entire guests list commented on how fantastic he sounded, and how they loved his play list. Besides the Graduate, Chris Miller was a definite hit of the Party. We will be playing a backyard event with friends just just to have Chris play again for us. A true professional! 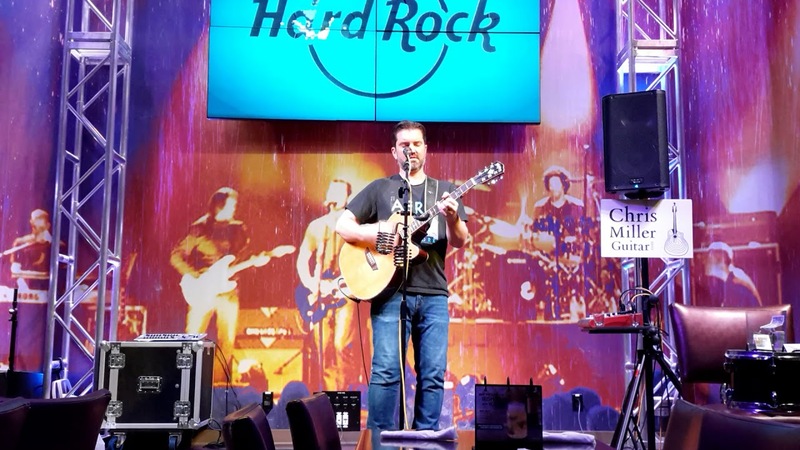 Whether you request a solo performance or the full band you can expect exactly what you think working with a true professional should be, no drama, no stress and a great experience for both you and your guests. Chris shows up early and well prepared for any last minute changes or trouble, plays exactly the music you want at the perfect volume for your event, interacts with the audience as much or as little as you'd like, and stays late to make sure you are completely satisfied with the how everything went. Guaranteed! Lyrics that will make you cry, a voice that will make you sing and guitar that will make you dance. Throw in a healthy dose of off the cuff wit and you've got a Chris Miller show. Over twenty-five years of guitar experience, including work toward a BS in Classical Guitar, make him a bit of an exception to the standard singer/songwriter model. He is equally comfortable as a vocalist and a lead guitar player. 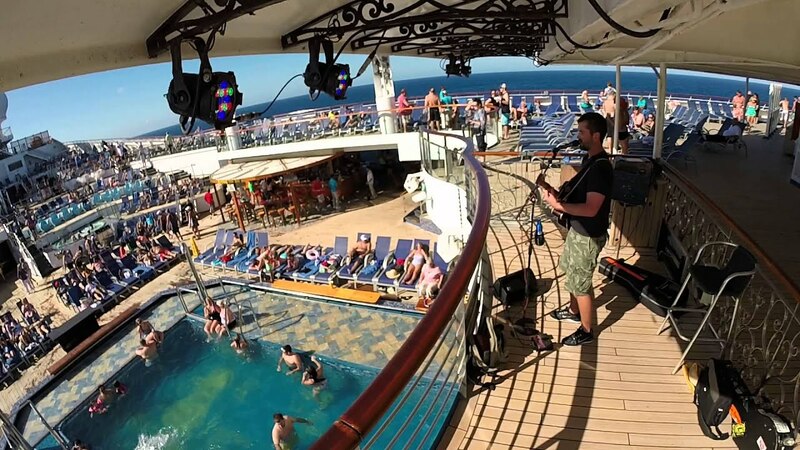 Since leaving Carnival Cruise Lines in 2015 Chris has quickly become one of the most sought after acoustic performers in the region. He typically performs three to five nights per week at weddings, bars and corporate events. While with Carnival Chris honed his skills performing six shows per week on their luxury cruise liners while traveling the globe. Every cruise brought thousands of new faces and several new ports of call from Australia to Alaska and all over the Caribbean. With ages ranging from children to retirees and venues from the luxurious main lobby to wild parties on the open deck, his show and song list have grown tremendously. 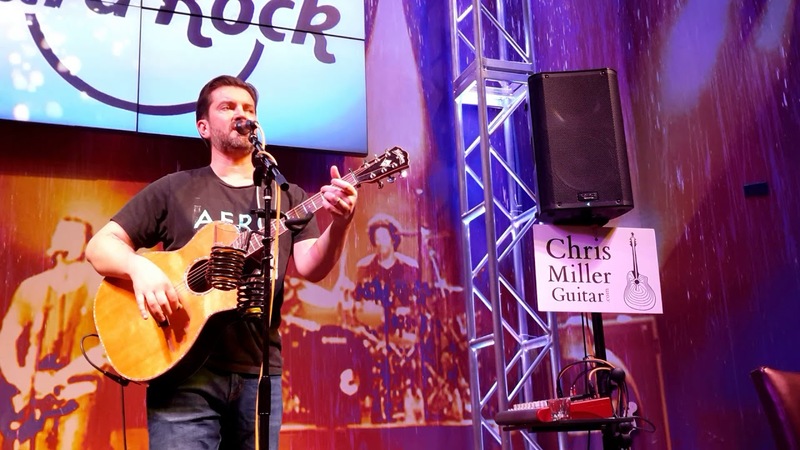 Miller had originally cut his teeth as a solo act through nearly a decade slugging it out in the Iowa music scene, performing everywhere from casinos and sports bars to presidential political rally's, coffee houses and even the Iowa State Fair. He has released four independent albums and racked up a huge cover song list that ranges from Johnny Cash to AC/DC and Adele. Miller jokingly quips, "I clearly have OCD but in this case it works to my benefit." His original songs are deeply, sometimes painfully honest. "I understand more but now want to feel less. Joy rules my head but my heart is a mess," from Falling Through Life, awarded Honorable Mention in Billboard World Song Contest 2009. I only need you to provide one reliable power outlet and at least three square feet of space. My professional sound system can handle up to 200 people at an outdoor venue. For very large events additional equipment can be provided for a fee. At least three square feet of space.